As a veteran arts funder with San Francisco Grants for the Arts, a creative life coach, and a talented singer and radiant on-stage performer, Renee Hayes has devoted her life to nurturing her own artistic endeavors and the ambitions of countless others. As a veteran arts funder with San Francisco Grants for the Arts, a creative life coach, and a talented singer and radiant on-stage performer, Renee Hayes has devoted her life to nurturing her own artistic endeavors and the ambitions of countless others. In 2006, she had a transformative experience: while riding home from a rehearsal with friends, she suffered a severe seizure and was rushed to the hospital. Diagnosed with a benign brain tumor, she subsequently underwent surgery, followed by a period of recovery and reflection that strengthened her resolve and sharpened her focus and priorities. Hayes co-founded Creative Capacity Fund and, this Fall, she heads to Nashville to record her new CD. On “Renewable Soul,” a collaborative project with fellow artists, friends and family, Hayes sings lead vocals on original compositions in an “eclectic acoustic soul” style she describes as “James Taylor meets Dianne Reeves, meets Godzilla.” The following are excerpts from our conversation. Sura Wood: You work in a variety of capacities: do you consider yourself an artist first? 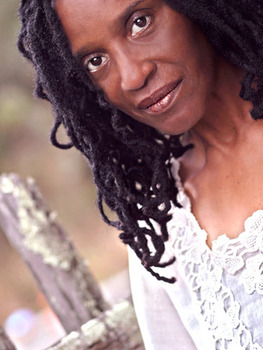 Renee Hayes: I’m a creative person first. What I do in the world usually has to do with being creative or supporting the creativity of others. SW: What are your core values? RH: Harmony: Trying--but certainly not always succeeding--to be in synch with what’s happening in the moment, with life, with myself and with other people, including the act of actually singing in harmony with them, which I absolutely adore. Creativity: I ask myself daily: Did I do something creative today? Diversity in the things I do and the people I know—including my phenomenal community of colleagues, friends and family, who are truly my anchors. SW: What does it take to excel and how do you reconcile the dedication it takes to achieve artistic excellence with the need to support yourself financially? RH: That’s a dilemma for me and for many of us. For me, part of life is facing the fact that the ideal isn’t always there for you. One of the things I’ve had to be clear about is how much I’m willing to sacrifice. I really value a sense of security and, because that’s important to me, I know I’m going to have to spend the time it takes to make a decent living. My involvement in diverse pursuits can also mean that I don’t necessarily get really superb at one thing. Unless you’re one of those renaissance geniuses, you don’t necessarily meet the expectations you’ve set for yourself. Hey, I’m sure even Mozart had things he wanted to do, but couldn’t. Sometimes you can come close, though, and that’s better than not doing it at all. So, there are times when I’ve had to train myself to be satisfied with a “B” or even a “C-plus level.” Sometimes I get to be at an “A-level,” and that’s great, but I’ve learned to be realistic. If I sing every day, even if it’s only for fifteen minutes or half an hour, it adds up over time. Even if you’re not on Broadway or in a museum, having the opportunity to make art and experience the feeling it can give you is such a gift. We need to honor that gift and not necessarily ask so much of it. Compassion for ourselves and for others, who are trying to do this, is key. SW: Besides your own, whose career would you most like to have? RH: A friend of mine is a wonderful artist who doesn’t have to have a job, which gives her lots of flexibility with time and resources. Sweeeet! That said, she still has some of the creative and life struggles that we all face. While it would be nice to have more time and financial support for myself and others, I don’t think I would want to thing. I like to find harmony in the midst of variety and complexity. I look at the job I have (atGFTA) and I’m so grateful that I get to spend time, even if much of it is in an office, with other creative people, and supporting the creative community. SW: Why is the Creative Capacity Fund important to you? RH: Since the severe economic downturn in 2008, people have had to learn how to be savvy and successful with fewer resources. When the great recession hit, GFTA and SFAC realized that support for professional development in the arts was more crucial than ever. We wanted to sustain the field by sustaining the people who do the work-- arts administrators and artists, but we wanted to come up with something that gave grantees more control over their training than the usual technical assistance models. It took a couple of years and the help of CCI to develop the program. Since CCF’s launch in 2009, we’ve gone from two funders to 12 throughout the state. I’m very proud of it. SW: How has confronting your mortality affected you artistically and professionally? RH: Well, certainly, seeing that I have more time behind me than I have in front of me has made me stop and think. Right now, I’m working on a solo CD project. If you’d asked me several years ago if that’s what I’d be doing, I would’ve said no. But experiencing my own mortality clarified my commitment to investing the time and the money to do this. I’m not planning on going anywhere any time soon but I want to leave an expression not only of who I am and what I feel is important but a statement from and for the creative community. All of the songs are written by people I know and respect and they’re great messages I hope will be helpful to anyone who wants to live their life in a creative and mindful way. SW:What are your primary motivations? RH: As I’ve gotten older, I’ve thought more about legacy; what is it I want to do before I die? What do I want to leave behind? When I was stricken suddenly with a serious illness and realized my mortality was real, I thought: Wow, we really do just have today. I want to leave something worthwhile and important to my heart. I had already started Creative Capacity Fund but I came back very determined to put in the time needed to make it work. I didn’t want to leave without giving this gift to the arts and funding community, a community that was so supportive of me when I was sick. I’m highly motivated to renew the people who renew the world. SW: Has surviving a frightening illness given you a different perspective on what constitutes danger and made you more willing to take more risks? RH: It has given me more courage. I’m still scared but it becomes a matter of are you or are you not going to do this? I’ve already gone through one of the scariest things I’ve ever been through. People say, “Oh, it’s not brain surgery,” and I think, “Oh yeah, it was.” I don’t necessarily believe that I’m on the earth for a specific reason but I do feel grateful to have another chance to learn and contribute. It could easily have gone the other way. I believe that “life is just a chance to grow a soul.” It’s not the time to play it safe.